It contains 20 case studies and ideas for running a land-based business. It is written by a patron of the One Planet Council, David Thorpe, and includes a Foreword and Afterword by the ex-Welsh Environment Minister Jane Davidson, who is also our patron and who steered the One Planet Development policy into law. It has 438 pages and 382 full colour pages. 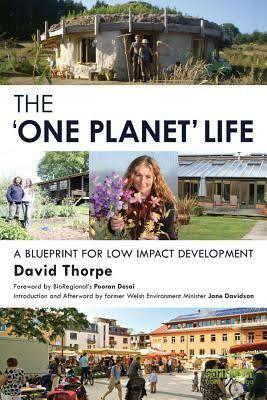 “An encyclopaedia covering just about everything practical” – The Land magazine. You can buy a copy here. If you click on the US flag you will obtain UK prices. 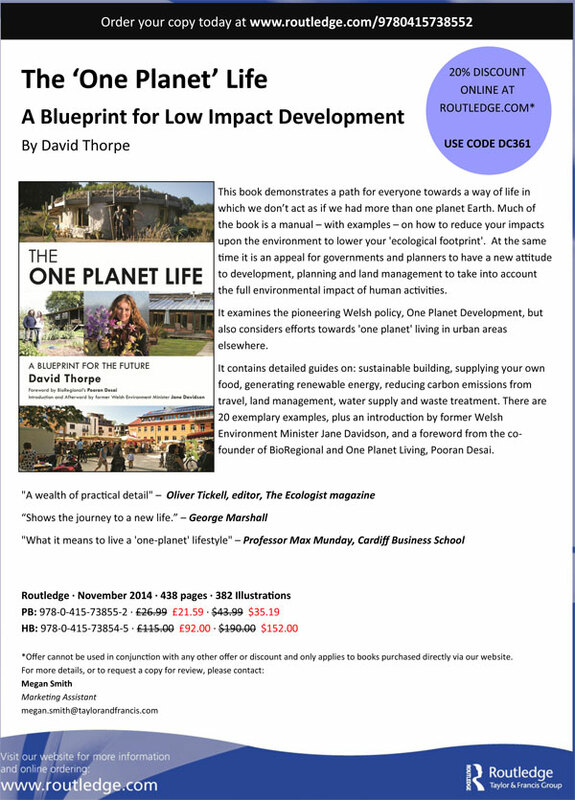 One Planet Council members are entitled to a discount on the full price. 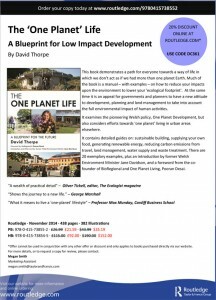 To obtain this, go through the online purchase process on the publisher’s website, and when asked for a discount code, input DC361.